Much that is written about children these days relates to the issue of academic success and the failures of the education system to prepare children to be successful in the modern world. Often, parents are held responsible for children’s failures and are given strategies for raising a successful child. In the midst of this ongoing discussion, attention has been given to raising a moral child, which involves dos and don’ts for parents. A recent article appears to define a moral child as one who is kind, compassionate and helpful and suggests that this is a greater priority for parents than children’s accomplishments and success. One might question if this is an accurate reflection of parents’ priorities, at least as reflected in popular books, magazines and other media. No doubt many parents would be pleased to see those qualities in their children – particularly with regard to being helpful at home and kind to siblings. But this is not always the primary focus in raising children. Parents respond in a variety of ways to what they consider the bad and good behavior of their children. Much of this depends not only on individual family values but also on differences in the willingness and ability of parents to tolerate a range of behavior. There are differences in the importance placed on such things as respect for the property of others, attention paid to parental wishes, sharing possessions with siblings or friends and consideration of the needs of others. There are differences, too, in the way parents teach or enforce their values. In a real way this is connected to children’s social development and parents’ role in teaching and promoting social behavior. In observing young children, one can see a natural expression of empathy in some. Children may try to console someone who is upset or reassure a crying child that “mommy will come back.” I have often seen a child offer a toy to another in an act of friendship. At the same time, one also can see the child who grabs a toy from another or who is aggressive toward others, for no apparent reason. Parents and teachers may try to respond in ways that will discourage negative behavior and reinforce acts of kindness and generosity. 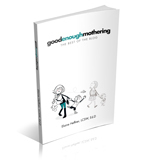 Often, without too much thought, different behavior is labeled by adults as “good” or “bad”. Yet parents may respond differently to behavior even which they might agree is good or bad. For example, some parents feel that siblings or friends fighting should be left alone to settle it themselves. Others might intervene, perhaps with or without a talk about “getting along.” Some might feel that defending one’s property should be supported, while others would see the ability to share as the primary goal. Some might see the beggar on the street as someone to be avoided, while others might use it to try to teach a lesson about caring for those less fortunate. A common adult response, particularly to young children, is to say “Good boy” or “Good girl” when we approve of something and “Bad boy” and “Bad girl” when we don’t. Such words are said with the appropriate affect to go with the feelings aroused by approval and disapproval. Disapproval is usually accompanied by parental anger and at times punishment. A difference has been pointed to between shame and guilt: shame reflecting the feeling that one is a bad person, while guilt expressing the feeling of having done a bad thing. This focuses attention on the deeper question of how to distinguish and help children distinguish between feelings and behavior. This is important because it speaks to the development of an ability to accept one’s feelings while not acting on them always in behavior. One can feel angry at someone but not express it by hitting them. One can want another child’s toy but not grab it from them. The suggestion has been offered that children should be taught to feel guilt rather than shame when they misbehave. The idea is that this promotes the distinction between feelings and behavior, since shame implies being a bad person while guilt means having done a bad thing. Calling children “bad” in response to their behavior does actually convey to them that they are bad people and does not help them distinguish between what they feel and what they do. But promoting guilt seems like a tricky idea. The thought is that guilt leads to feelings of remorse and the wish to repair the damage through good behavior. But guilt has also led to feelings of worthlessness and can be directed toward oneself in negative ways instead of toward others in positive ways. Perhaps making moral judgments about behavior is a shortcut we take to avoid the time and effort required for teaching. Anger and other negative emotions do not make us bad people. The reason we do not act on those feelings is because we value the ability to live together with others. The rewards of community and social interaction are great and can only be maintained if, as the good book says, we do unto others as we would have them do unto us. The golden rule may be a moral precept but it can be taught to children in a way that enables them to respect their own needs and feelings as well as the needs and feelings of others. Feeling bad doesn’t mean you are bad.